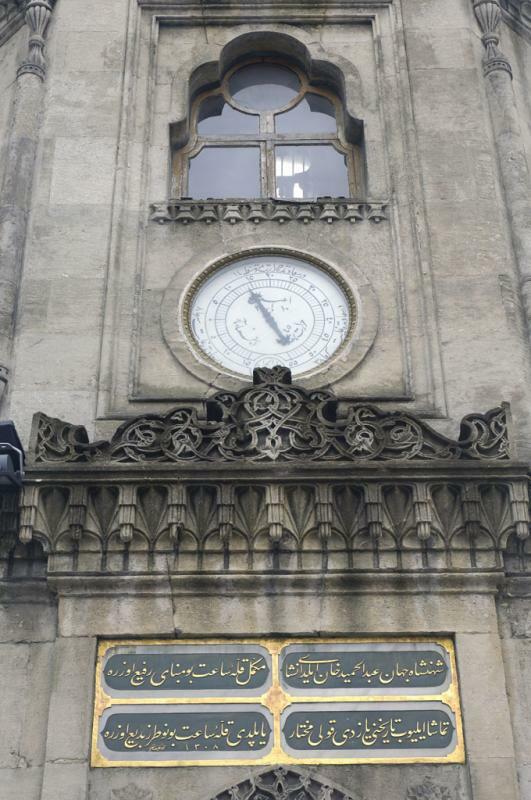 This clocktower is at the Yıldız Hamidiye Mosque, built on the orders of Abdülhamid II (1842-1918, reigned 1876-1909). It was constructed in 1884-1886, architect Sarkis Balyan. On the picture: The ‘kitabe’ (building inscription) is dated 1308 H. (=1890/1891) and is an example of Late-Ottoman calligraphy.